"Will Heaven be like Swansea, Edward?" 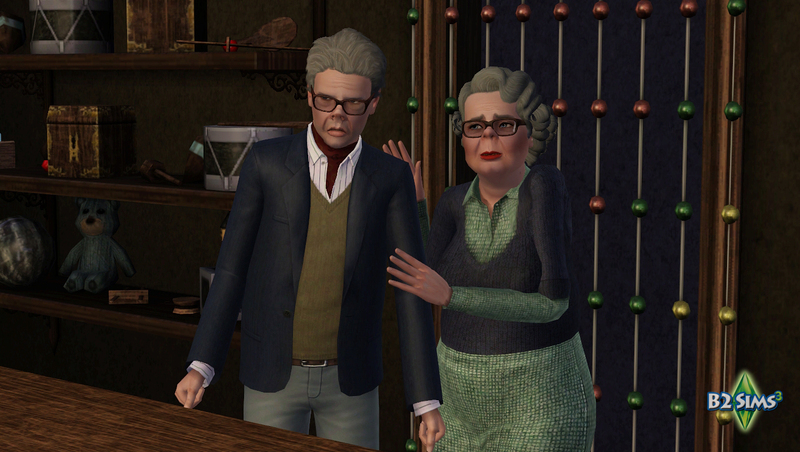 Edward and Tulip "Tubbs" Tattsyrup are a married couple (as well as brother and sister) and proprietors of the local shop (coming in the near future), which remains open despite their refusal to serve anyone who isn’t local. 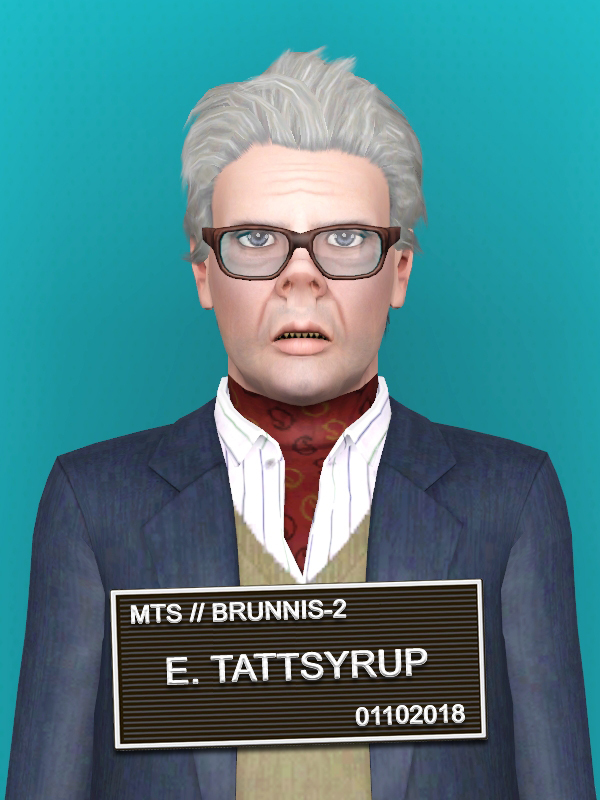 They inherited the shop from their mother and it has apparently been in the Tattsyrup family for generations. They wish for an end to the plague of strangers, for their futures to remain local and for new road to be totally destroyed… and a new dress, please. 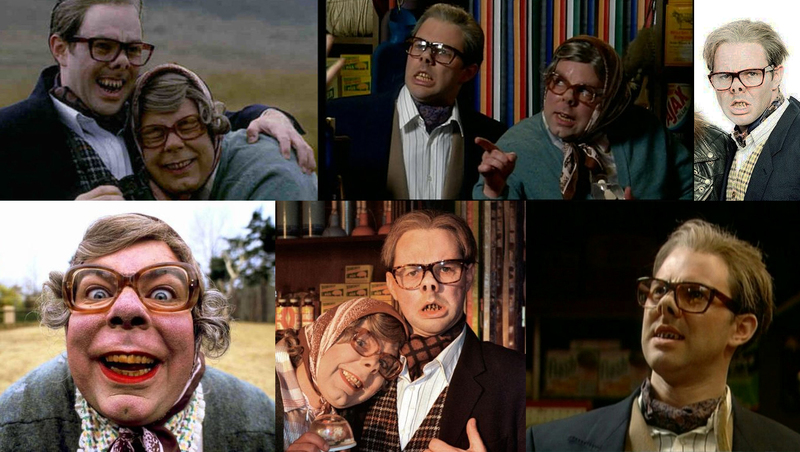 This gruesome pair are based on characters from The League of Gentlemen and I would not be the weirdo I am today without them! 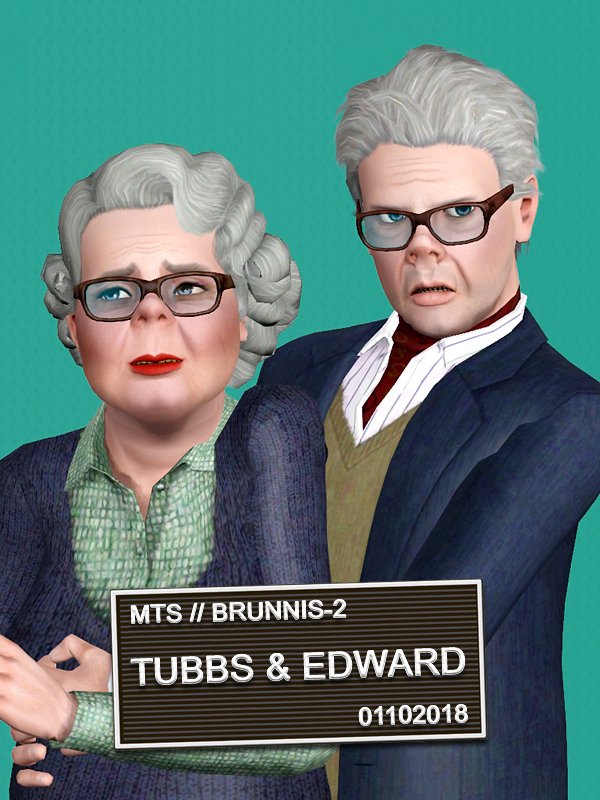 I'm a bit gutted I couldn't find the trademark headscarf for Tubbs and think the neat hair makes her look a bit like the Queen, but what can ya do? 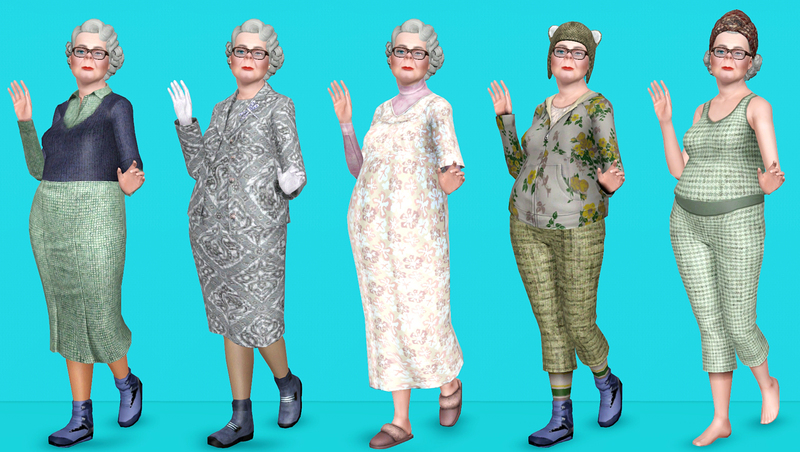 These Sims include clothing, makeup and personality traits from various expansions (listed in the descriptions individually). Base-gamers will still be able to install them and select their own replacement items/traits. 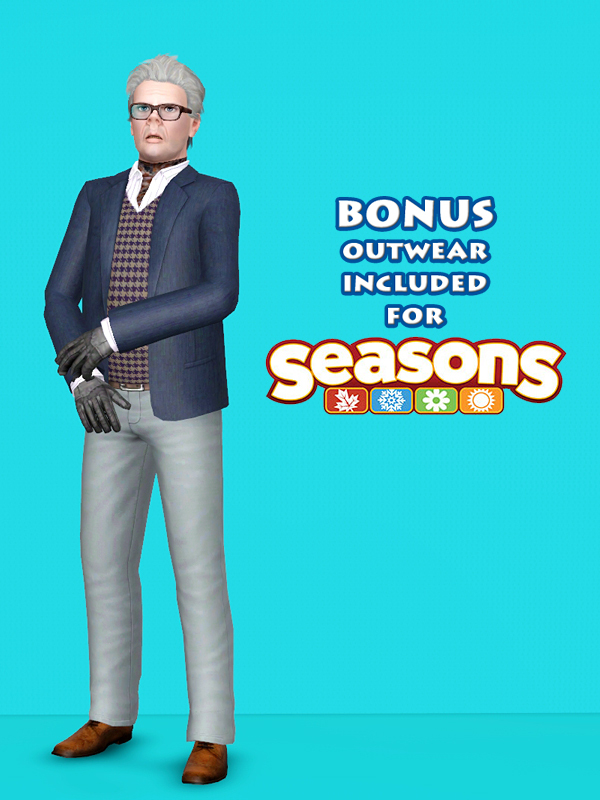 Includes clothing and traits from World Adventures, Ambitions, Seasons, Supernatural and Island Paradise. 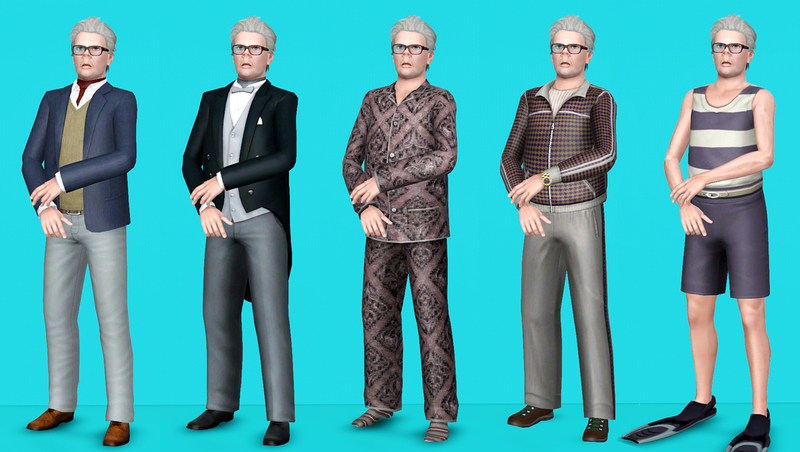 The BG Tuxedo was accessed using the 'unlockoutfits on' cheat, though downloadable versions are available here. Tubbs, though also scared of newcomers, dreams of visiting the "bright lights" of towns and cities, whose existence Edward has tried to keep from her. 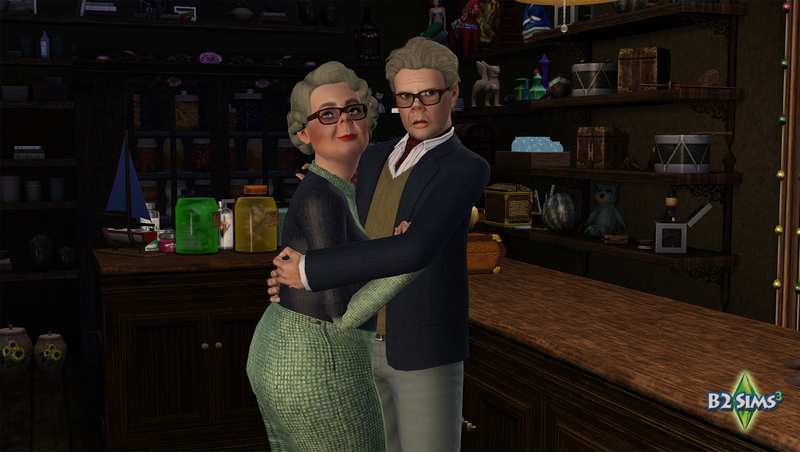 She is afraid that visitors may take her "precious things" from the shelves of the shop and has a childlike innocence which is only guided towards malevolent ends by Edward's influence. 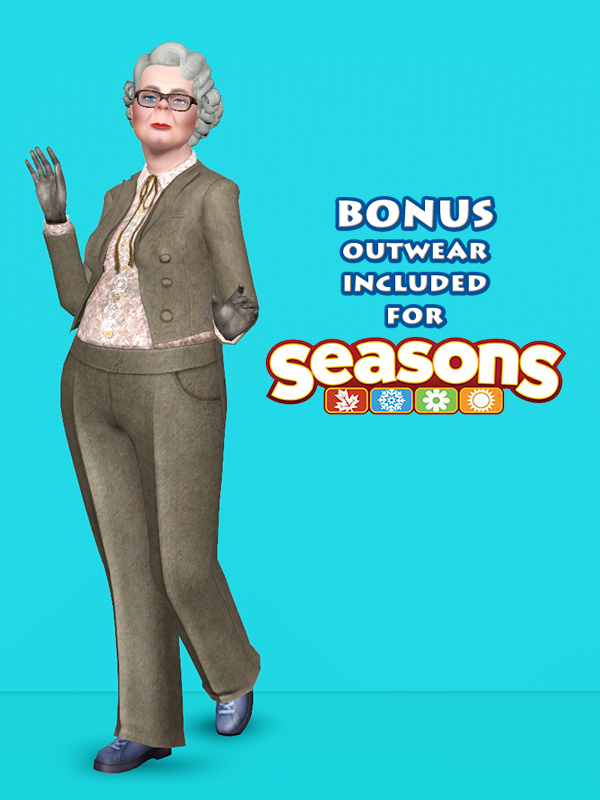 Includes clothing and traits from World Adventures, Late Night, Generations, Seasons and Island Paradise. The Astronaut boots were accessed using the 'unlockoutfits on' cheat. Both hairstyles used are from Roaring Heights, namely the Still Established Tight Wave and the Gale Proof Turban. 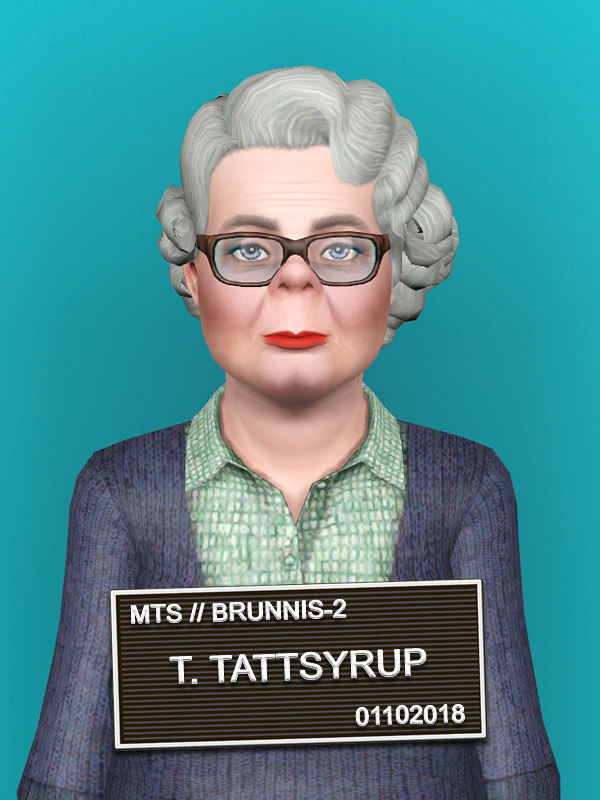 Like a dumbass, I forgot to unlock the makeup when loading Tubbs into my game for the screenshots, so while she's pictured here wearing lipstick for beddie-byes, the saved Sim is actually sans makeup for peepies. My youth would not have been the same without Reece Shearsmith, Steve Pemberton, Mark Gatiss and Jeremy Dyson.